Our organisation has a small team. We work hard to ensure that our communities get the very best of us as we work towards achieving our vision of a united and prosperous community. But we can’t always do it on our own, and rely on great people, organisations, businesses, and leaders like Tom Ryan Cartage Ltd to help us achieve our vision. Led by our Business Development Manager Lindsay Unuia, we want to continue molding our site into a space that pulls our community in. 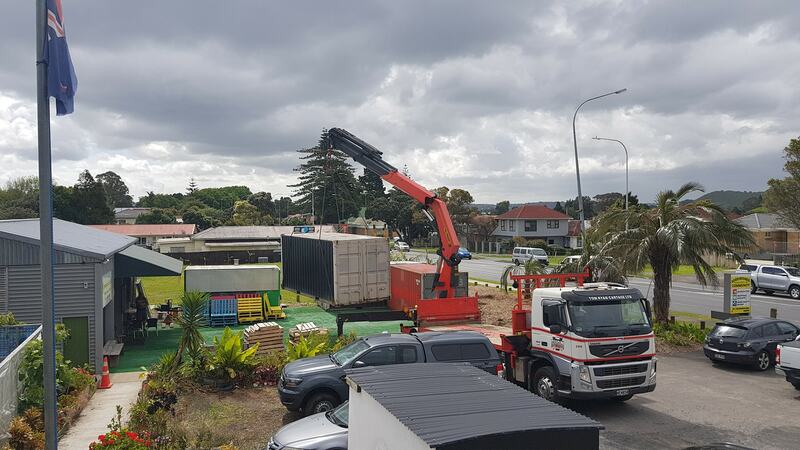 It was with that aim in mind that Tom Ryan Cartage helped us begin to transform our green space located outside the oneCOMMUNITY S.H.E.D, by re-locating shipping containers currently on site. Through various opportunities our organisation has been a part of, we’ve seen the many possibilities of a modified shipping container. We just needed to take that first step to convince ourselves that what we envisage is possible. Our organisation is all about building up our communities, and we would like to extend a warm thank you to Tom Ryan Cartage for helping us to do this. In future we are working towards re-modifying the three containers onsite, into a busy social enterprise hub, incubating small start-ups owned and operated by the community. The possibilities are endless.